The second day started with a nice British breakfast at Tre-pol-pen B&B. Our destination today is: eden project. West Africa, Oceanic Island, Asia, and all around the world. 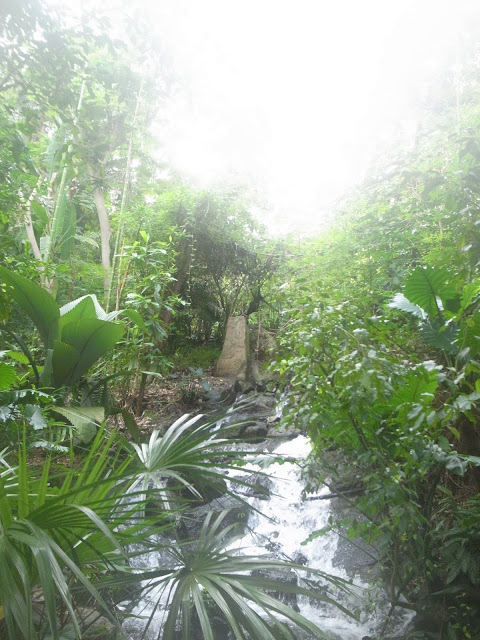 Inside the Tropical biome dome, it was sweating hot. I -as a tropical summer girl, was very very excited at all time. What inspired me the most was this educational boards near the familiar plants like banana and cocoa, which explained the whole process of production lines and producers' faces. The stories lay between the Fair-trade & organic banana and conventional ones, talked about the lives of producers, and the real quality of the food itself. The stories you would never imagine when you see the discounted mountain of bananas at supermarket. and the stories hit me hardly because of the power of this place. Today, I learned the possibilities of what a "space" can do to our minds.